I’ve always wondered why Cryptic Studios calls their Star Trek Online updates seasons, like boldly going where no man has gone before is some sort of sporting event. In any case, the Star Trek Online Season 8 update has gone live and brings with it enough new content and updates to fill a galaxy. Season 8 update, entitled “The Sphere” starts off by opening a new kind of adventure zone, the Solanae Dyson Sphere. In this new level 50 zone, space captains from all playable races can join up to conduct scientific and military missions. These missions are seemingly not static, as they are based on what the alliance needs to control and understand the sphere. Adventures captains exploring deeper into the Sphere will encounter the Voth, a new race of hyper intelligent dinosaurs with a knack for building things with lasers attached to them. Groups of up to twenty players (each with two bridge officers) spanning all three playable races will struggle against the Voth to hold a contented persistent ground zone. While comrades fight on the ground floor, intrepid space pilots can take to the sky, queuing up in groups of five to stop the Voth from wrestling control of the Sphere away from the allied forces. In yet another queued event, players will pilot their massive starships inside of an even more massive Voth fortress where they must destroy the main power source. Of course to do so their going to need to disable the ships numerous defense systems, and may even have to resort to blowing a hole in the side of its hull for quick entry. Of course, participating in all of these events will reward you with Dyson Sphere Marks and a new reputation system with the Joint Alliance Command. This translates into newly unlocked captain abilities and special gear sets. Fleets may also complete projects in order to unlock special outpost customization items for a new fleet holding spire outpost inside the Sphere. If all these new additions are enticing you into becoming a new federation cadet, then you’ll be happy to know the Federation tutorial has been completely revamped. The newly done tutorial is now fully-voiced, features improved mission flow, and starts players off at the Starfleet Academy, following them as they make their way up to the captain’s chair. 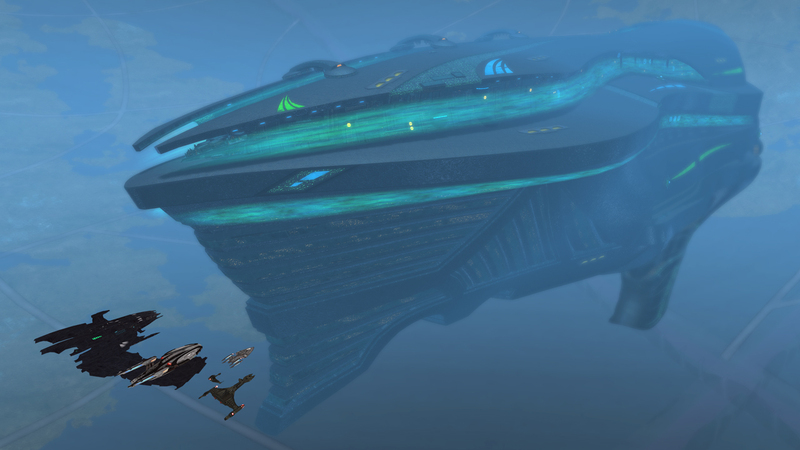 For further details on Star Trek Online’s latest adventure in space check out the official Season 8 patch notes. Used to like this game back in seasons 1-5 but, sadly, I refuse to support anything attached to Perfect World. it has much sense… a dinosaur with future armor… now just need a game with a children older than his mom…so we can sarcastabol. One of the best & different mmorpg’s of all time as far as I am concerned! Love this game!!!!!!!!! XDXDXD! The only thing that’s different is the license and setting. Calling an MMO that takes four “seasons” to fix bugs and was so focused on double-dipping that it pretty much pushed itself into F2P to stay afloat, great, just isn’t ttrue either.